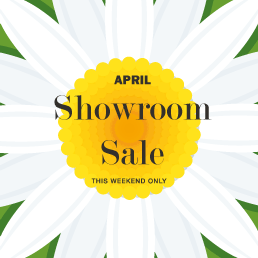 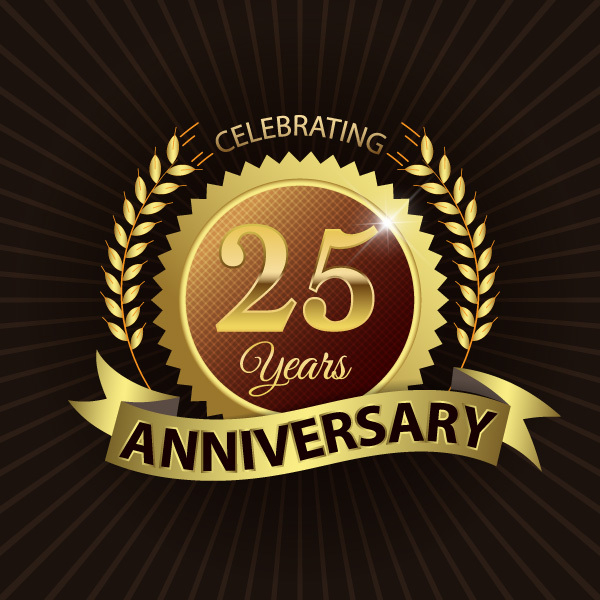 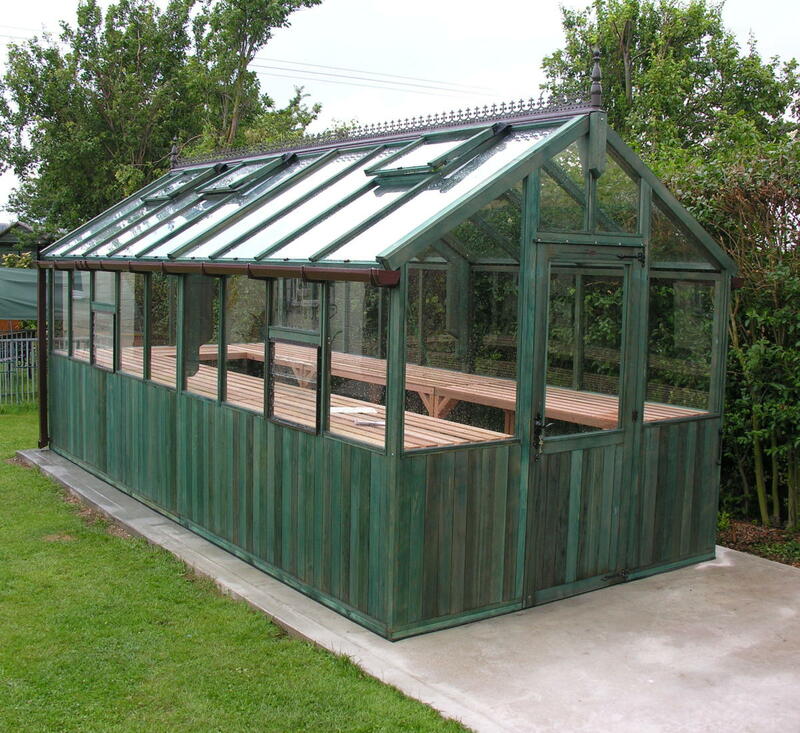 This is our BUSY PERIOD so order now to get your Greenhouse as soon as possible or a date at your own convenience. 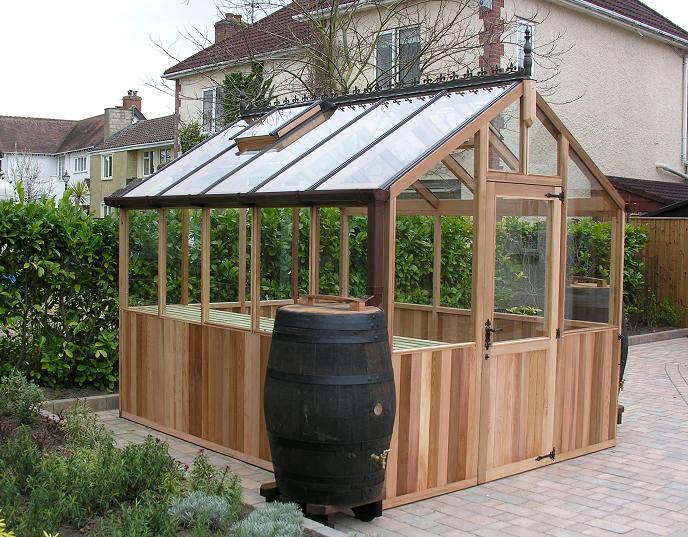 We Guarantee to BEAT any like for like quote on this Greenhouse! 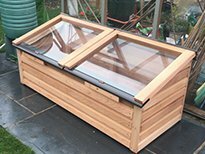 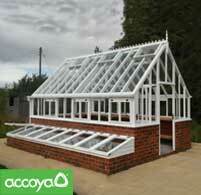 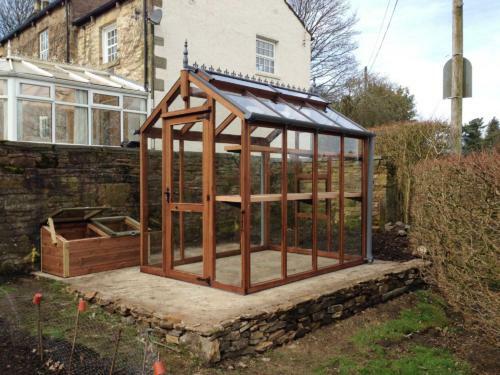 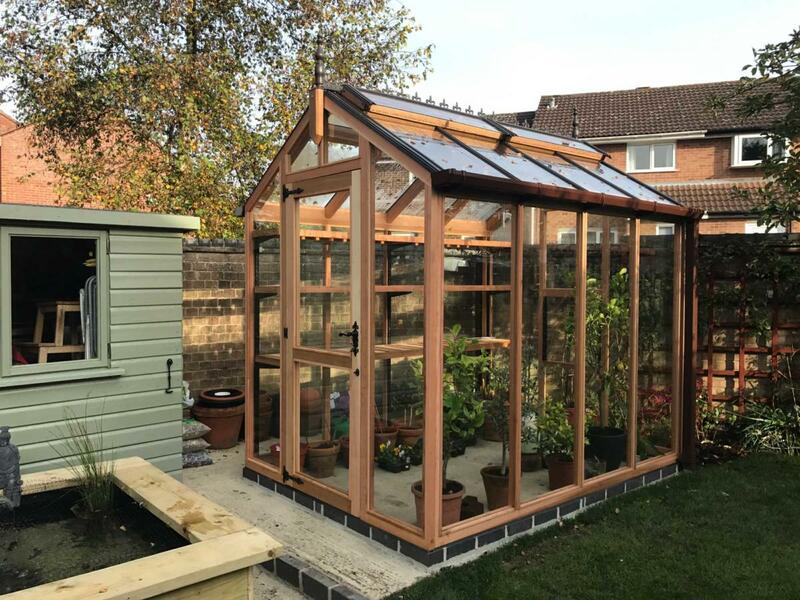 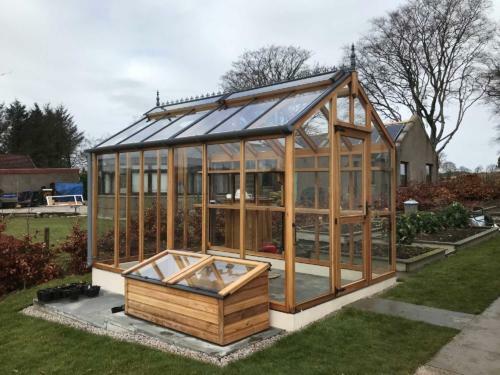 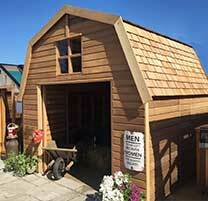 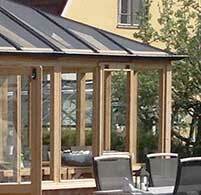 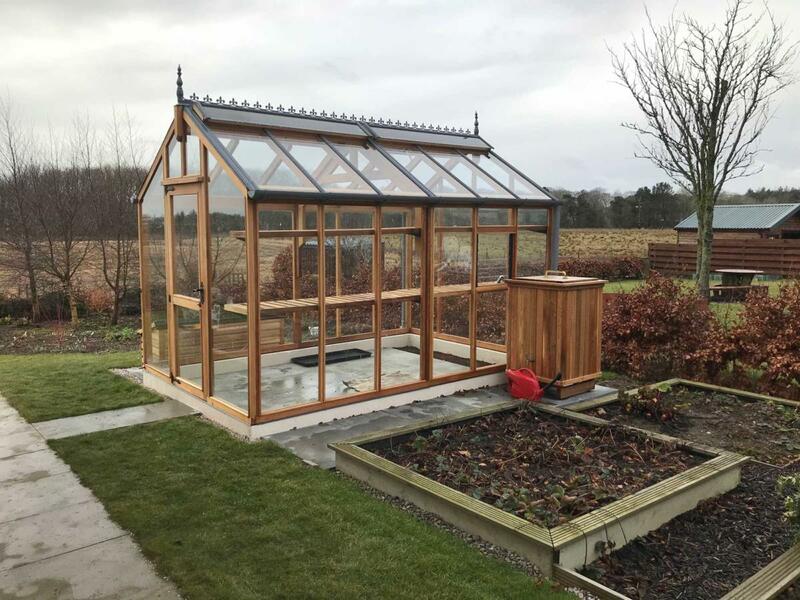 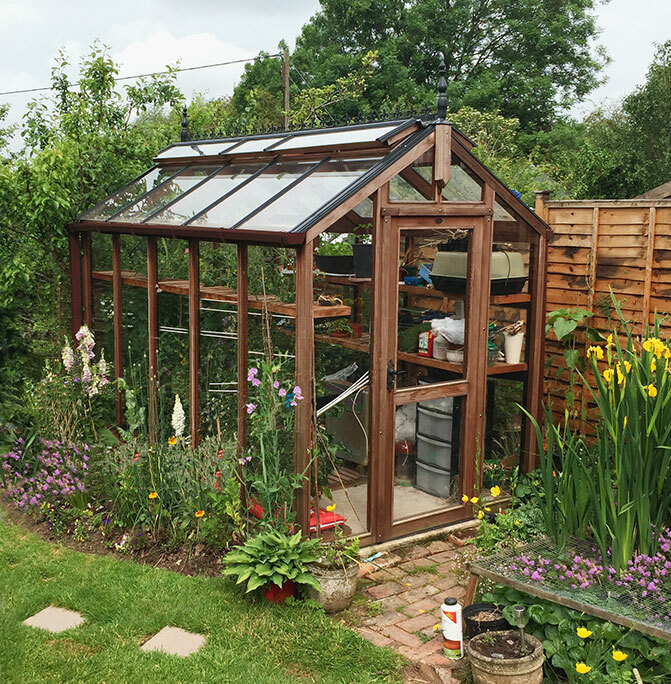 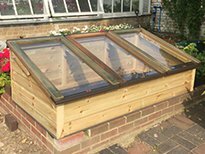 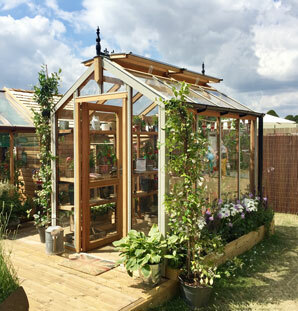 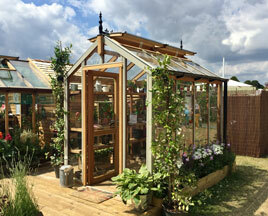 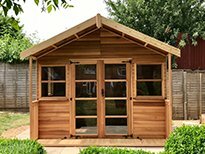 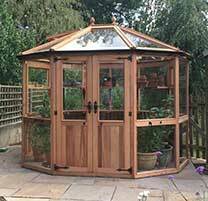 Our new range of CHARTLEY cedar greenhouse with its unique fully vented ridge – designed to withstand strong winds. 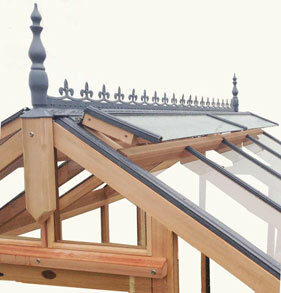 It attaches directly to the greenhouse ridge. 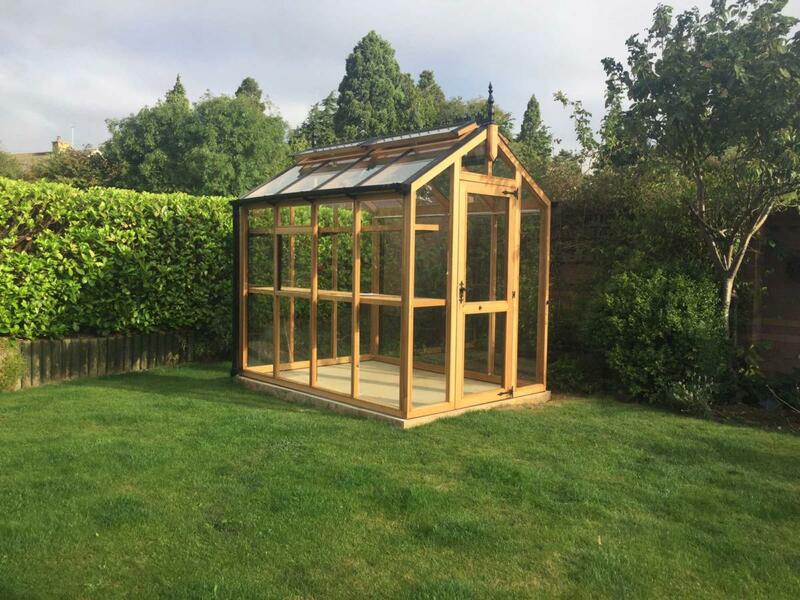 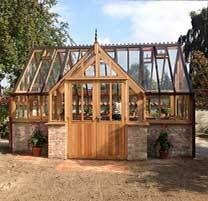 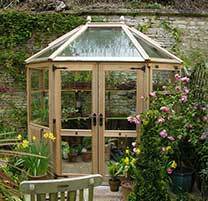 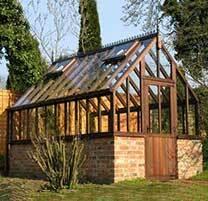 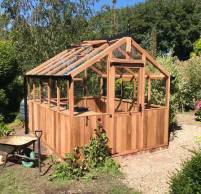 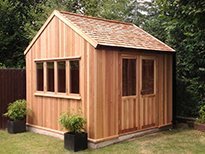 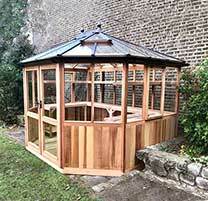 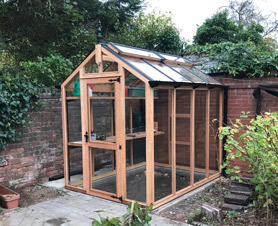 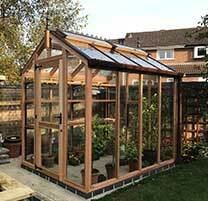 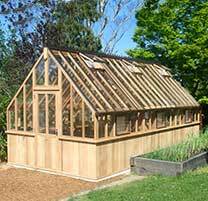 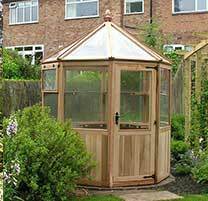 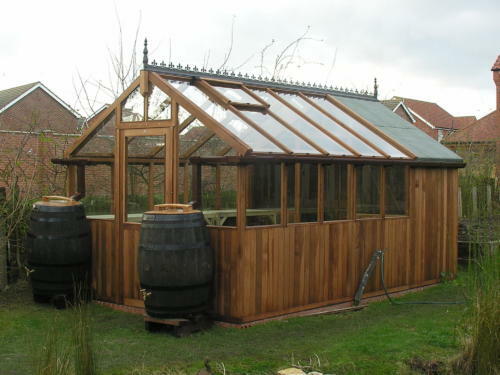 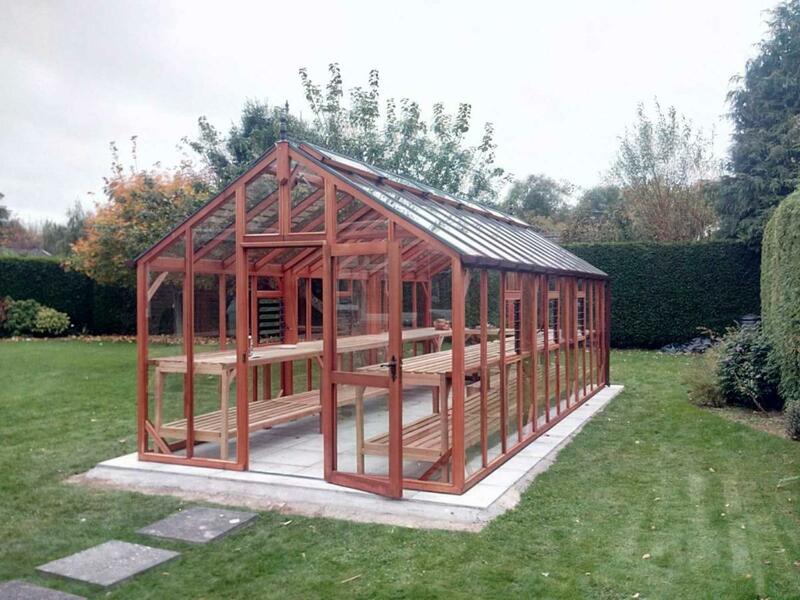 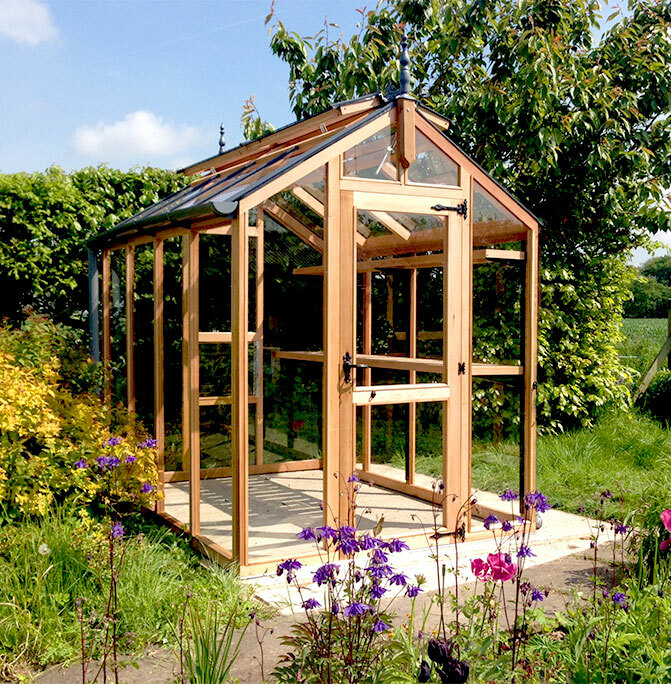 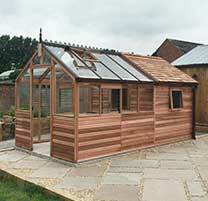 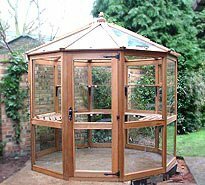 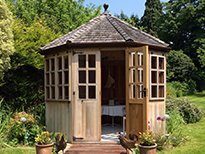 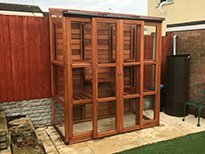 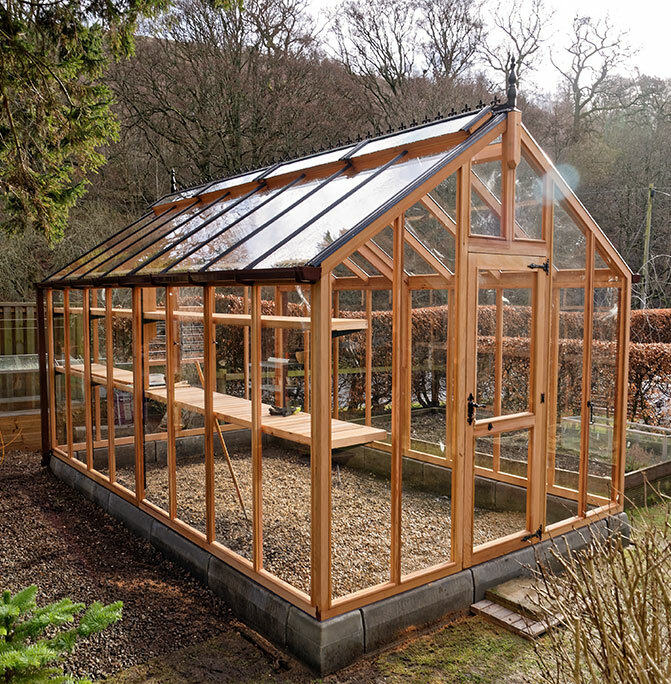 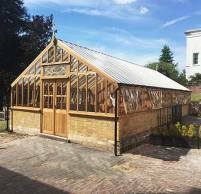 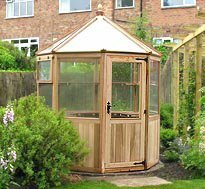 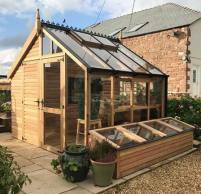 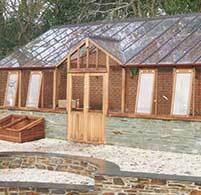 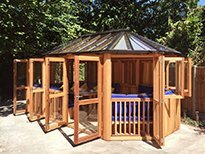 The Chartley is probably one of the best cedar greenhouses available on the UK market. 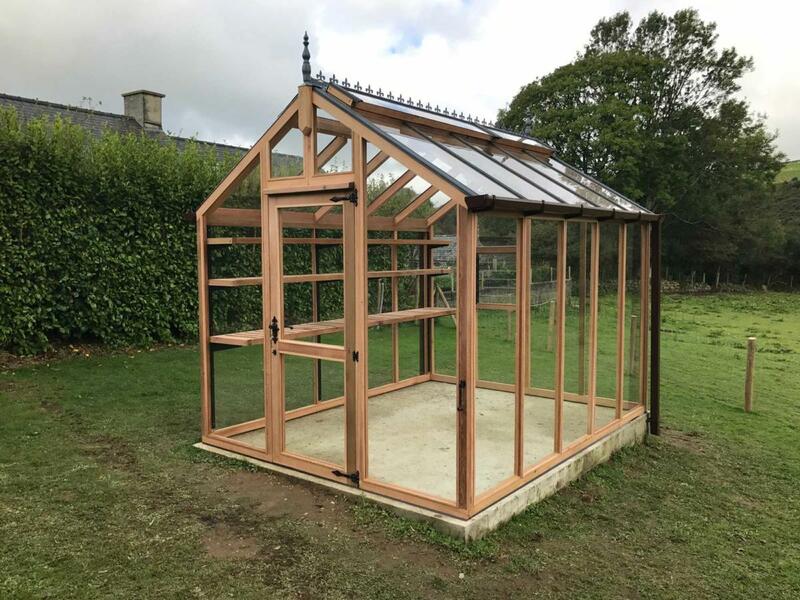 Created due to demand from our customers’ needs for a high Quality greenhouse without the expense of a bespoke product. 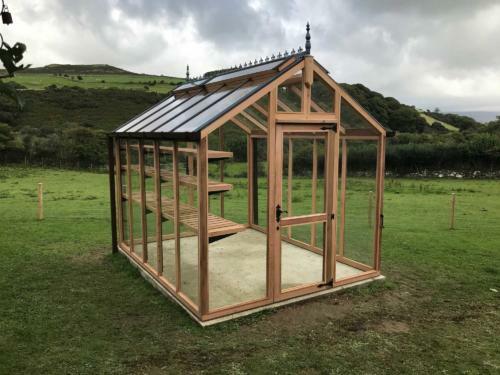 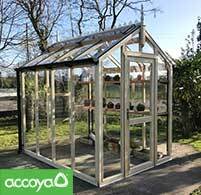 The Chartley comes in a range of standard sizes, with eaves height of 6ft, it is the tallest standard greenhouse on the market. 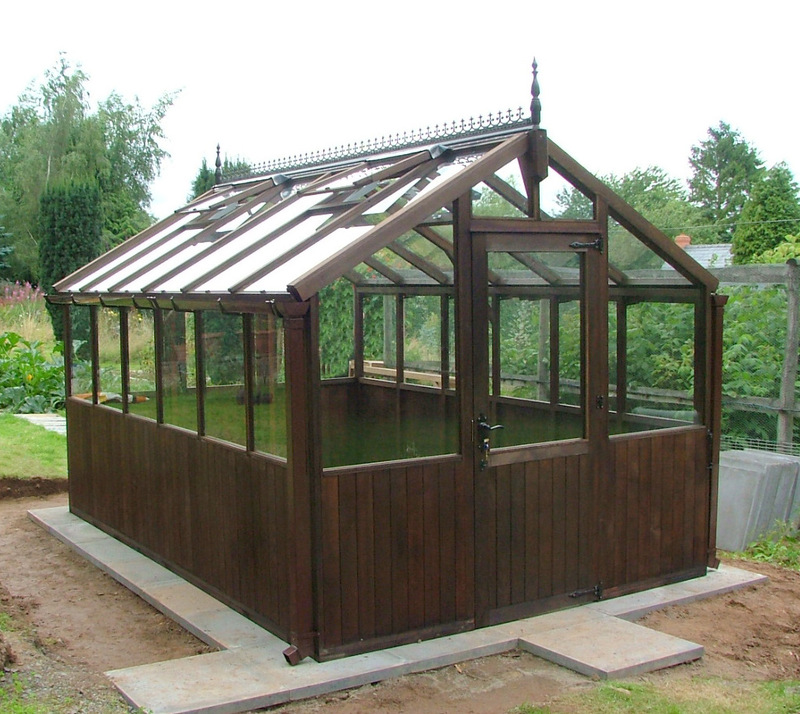 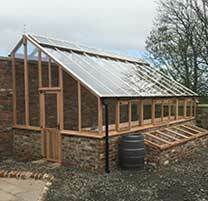 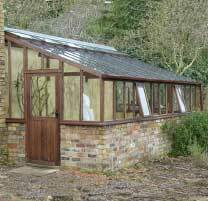 Glass to ground and with a fully vented ridge unique to the Chartley range of greenhouses. 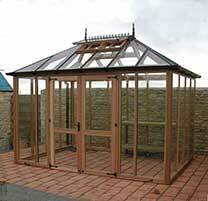 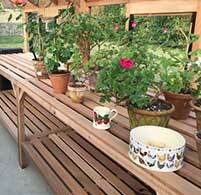 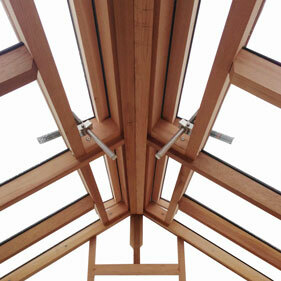 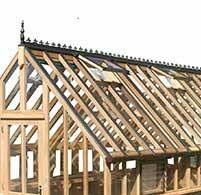 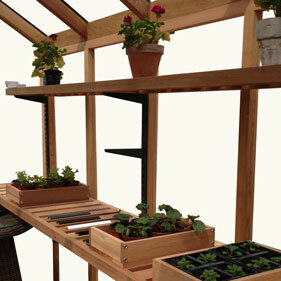 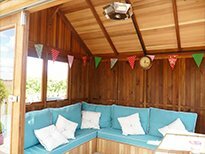 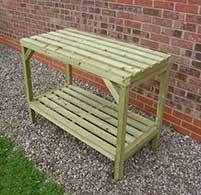 (Cedar panels and eaves height adjustment are not an available option, please see BROMLEY greenhouse for these extras). 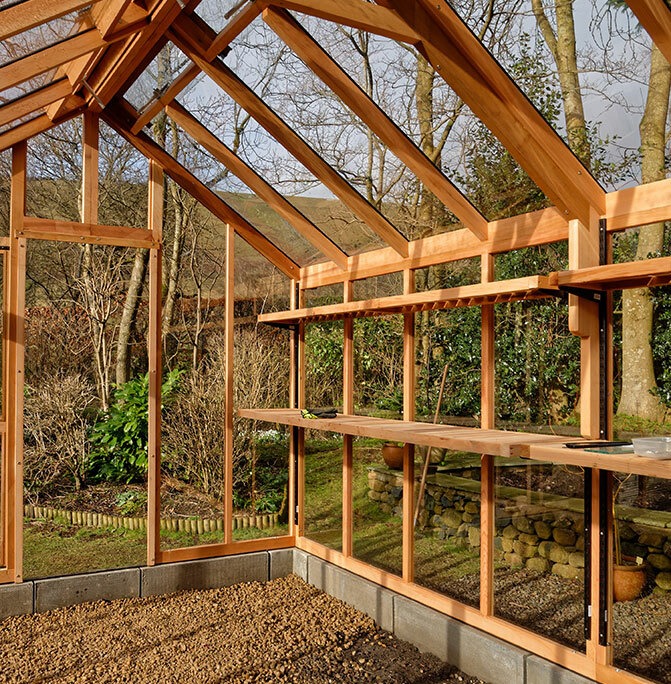 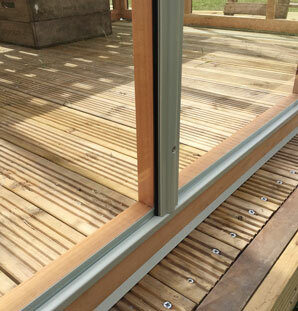 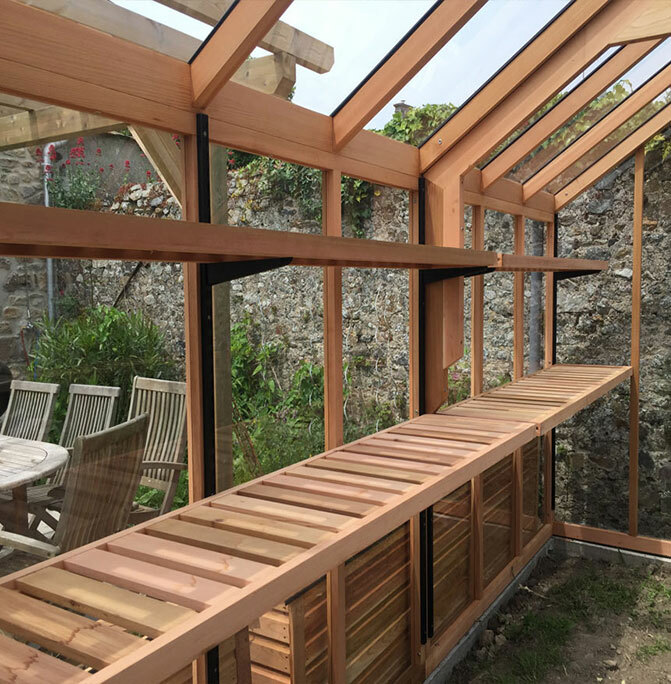 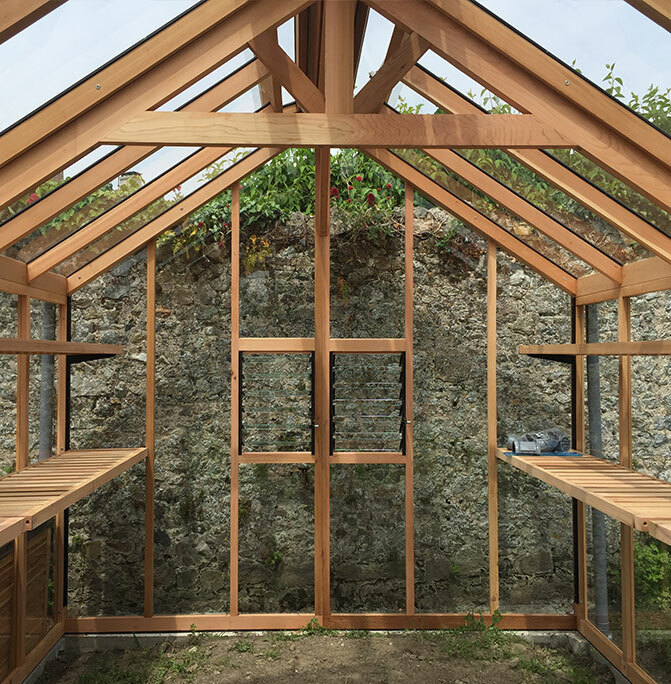 The framework is constructed entirely from western red cedar and glazed with 4mm toughened safety glass. 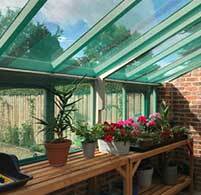 Automated roof vents allow ventilation around the greenhouse to keep it cool in the summer. 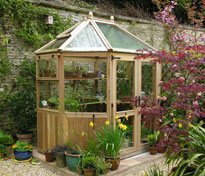 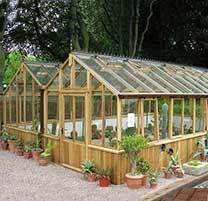 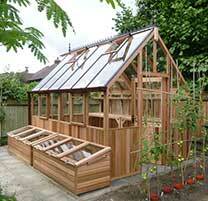 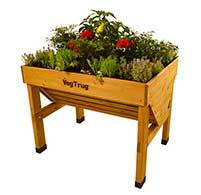 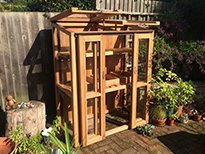 When you need growth from ground level this is the ideal cedar greenhouse for you, a heavy duty and strong structure. 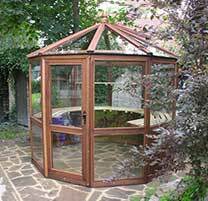 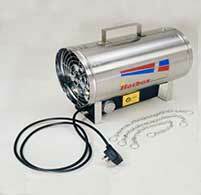 A quality product at an affordable, sensible price. 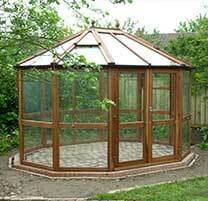 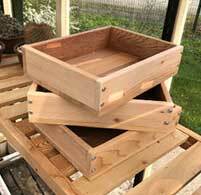 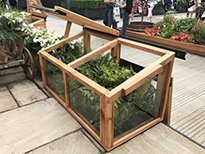 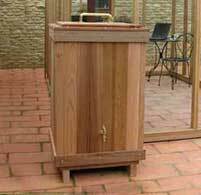 Proven to be another popular choice, for you the gardener, from our ever growing range of Woodpecker greenhouses. 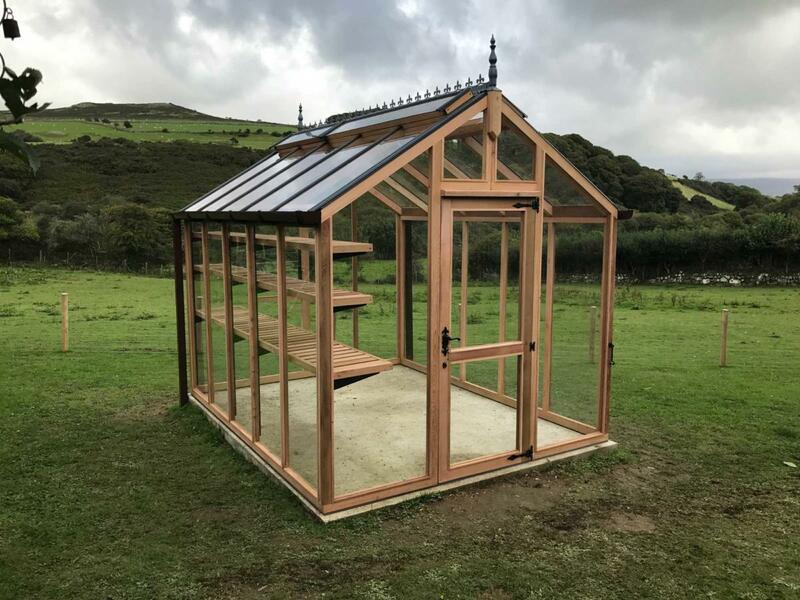 •Available in a range of colours the capping system is designed unique to Woodpecker timber greenhouses- the implementation of the capping system is discreet and engineered to fit properly and protect the timber rafters, ridges and roof gable joinery.